Named after the German word for cat, the manager of Die Katze is the adorable cat, Koenig. 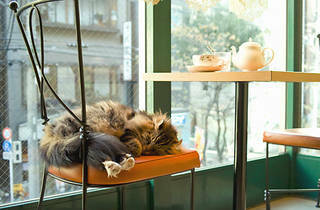 It’s a must-visit for cat lovers. 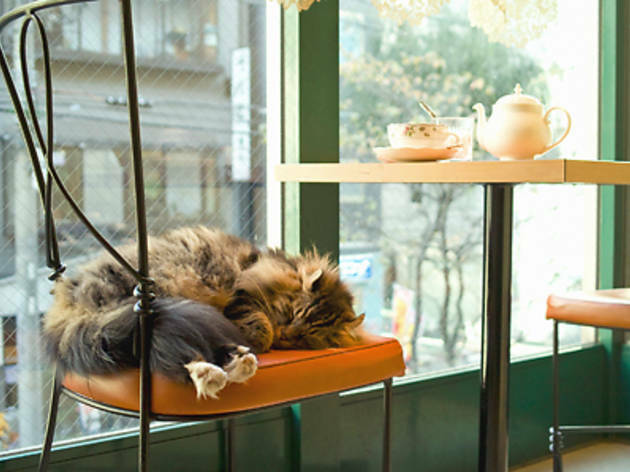 The café is located right by Shinjuku-Gyoenmae Station on the Marunouchi line, and on a nice day it’s a lovely stroll from Shinjuku. There are over 30 varieties of tea on offer as well as baked sweets like scones and brownies. Special lunch sets, which of course include tea, are also available.